The Sandman, with a central location just off Highway 101, is the perfect launching point from which to explore everything Northern California has to offer. 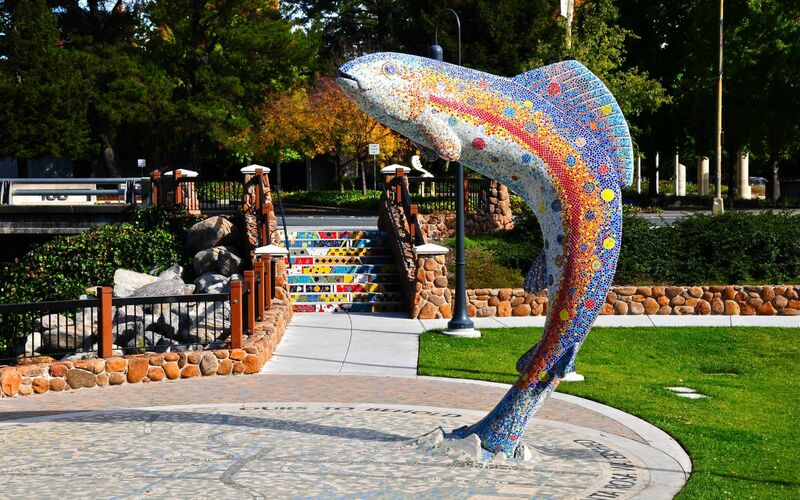 Although known primarily for its wine region and outdoor recreation, Sonoma County has plenty of other things to do, and some great places to explore with the kids! Boasting over 400 acres and home to 900 animals, Safari West is the premier African safari in Northern California. Get up close and personal with the wildlife on an African-style safari tour of the grounds, where you’ll meet giraffes, wildebeests, gazelles, and much more! Best of all, the fun is just minutes from the Sandman, making ours one of the best value hotels near Safari West! See the diverse international and regional art scene or explore history at one the many museums of Sonoma County. The Art Museum and History Museum, are located together within a stunning Sculpture Garden with rotating outdoor installations. Children and adults will enjoy the Charles M. Schulz Museum and The Children’s Museum of Sonoma County will jump start creativity and curiosity. Once a vital agricultural hub and trade intersection, Railroad Square has been restored to its former glory. As one of the main outdoor shopping, entertainment, and dining destinations, Railroad Square is a must-visit. Spend the afternoon browsing the shops lining the square, attend an event, or just appreciate the architectural artistry of the century-old square. Luther Burbank Gardens is where the world-renowned horticulturist, Luther Burbank, lived and experimented with plants for most of his 50-year career. This Registered National, State & City Historic Landmark is a unique urban garden located at the corner of Santa Rosa and Sonoma Avenues in Santa Rosa, California. See the Point of Interest map below for more great places to explore. Community gathering spot on 152 acres with a lake, plus kids' attractions including a small train. Spacious college concert hall with multiple performance venues, outdoor spaces, a restaurant & more. Sonoma County's only Children's Museum, dedicated to instilling a sense of wonder and teaching children (and their parents) about the arts, sciences and the world around them. Epicenter Sports & Entertainment is the largest indoor sports & entertainment complex on the West Coast. Compete, Eat, Play, Bowl & Watch Sports. You’ll find a five-acre field covered with authentic, well-cared-for aircraft. You can crawl under them, look inside wheel wells and bomb bays, peer into cockpits, and actually sit in some of them on Open Cockpit Weekends. Kids love PCAM! A non-profit organization that hosts performances in music, dance, theater, comedy and offers family and arts education programs. A Santa Rosa icon for over 40 years, Snoopy's Home Ice offers a unique atmosphere for families to enjoy recreational ice skating and a world-class facility to support the goals of local athletes in the sports of Ice Hockey and Figure Skating. Located just one mile south of the Plaza in Sonoma,. TrainTown features a quarter scale railroad on 4 miles of track. Railroad Square is the historic heart of the downtown and is Santa Rosa’s “Old Town”.